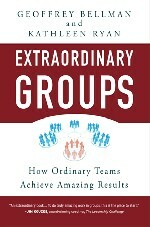 "People instinctively sense when a group experience is something special, something different from the ordinary, something that surpases their expectations in a positive, remarkable, and hard-to-describe way." Geoff Bellman has worked with large organizations for forty years, fourteen as an internal consultant and manager, twenty-six as an external consultant. His work has focused on renewing large, mature organizations. In recent years he has given much of his time to small, not-for-profit organizations in the Seattle area. Geoff's collaborator, Kathleen Ryan, has practiced organization development since 1984 and has been identified as an organizational consultant with "an instinct for translating complex human behavior into practical concepts." Her current work focuses on organization culture change, executive coaching, and executive on-boarding.